SSRI Anti-Depressants : Harmful Or Helpful? I’m blogging over 9 years (I started this blog in 2007), and in that time I have read tons of stuff about SSRI anti-depressants, psychiatry, and the pharmaceutical industry. I have focused my attention, in particular, upon the SSRI anti-depressant drug Seroxat, and the pharmaceutical company that manufactured it- GlaxoSmithKline (GSK). However, even before I started this blog, I had been educating myself about SSRI’s, the pharmaceutical industry, and ‘mental illness’ related issues. All in all, I have been reading, writing and researching about this stuff since at least 2001 (15 years). I had a particularly bad reaction to Seroxat, and I have no love for the pharmaceutical company who created it (GSK). I think GSK should have warned me about the dangers of Seroxat, and I believe that by suppressing information on Seroxat over the years, much harm was caused to me and to many many others. The story of Seroxat is still as scandalous as ever. I am particularly disturbed at how GSK behave generally too. They are an extremely sociopathic company, and they have absolutely no regard for patient well being, the law, or basic human values or ethics. They have been proven numerous times to be corrupt, devious and downright evil in how they behave. They have been fined numerous times for breaking ethical and legal codes in varous countries, however in their home turf of the UK it seems (because of the vast wealth that they bring there and the huge influence they have upon academia/industry etc) they are never brought to book. There are over 1000 blog posts on this blog detailing how GSK have corrupted doctors, the regulators and psychiatry, and I think my blog backs up my opinion on these subjects- ten fold. I had hoped, that by documenting GSK and Seroxat, others might not end up damaged by a pharmaceutical drug like Seroxat, I did it to bring awareness, it was that simple. I didn’t expect this blog to become the force that it has, I didn’t plan on being a blogger. I experienced an injustice from being prescribed the dangerous drug- Seroxat. I should have been warned, and I wasn’t. I met others who suffered because of Seroxat, and I felt compelled to do something about it- this blog spawned as a result of that impetus. I have had some people e-mail me and thank me for saving their life, others have sent words of support and encouragement, or mentioned how my writing validated their experience, and I have received a lot of kindness because of my writing, and all of this has been extremely humbling for me, but none of this was planned. (I have also had some psychos/stalkers/assholes and others who have pestered me from time to time- but those idiots will never stop me from helping others and bringing awareness). I believe, or actually, in fact- I know (from my own experience, of almost 4 years on the SSRI Seroxat) that these drugs can be extremely harmful for a lot of people. I do understand that they can be somewhat helpful to others (perhaps very short term with close monitoring in extreme cases, or in a hospital setting), but I believe that the harms far out weigh the ‘benefits’. I also think that the so called ‘benefits’ are largely illusory, and often quite transient and subjective (if they exist at all). The benefit is an illusion just as much as the effect of any mind altering drug/substance is an illusion. Nevertheless, the only people who really know if these drugs are harmful or helpful are the people who take them. I don’t think that these drugs are helpful long term, nor do I think they should be prescribed as first line treatment. These are potent, heavy, seriously addicting psychotropic/psychoactive/mind altering drugs; they are powerful and their affect on the mind is extremely difficult to predict in each individual. Some people will experience increased anxiety, increased suicidal ideation, hallucinations, distortions in their reality/perceptions/personality etc, and others might not experience these effects too badly. Most will experience some, or variations of these effects over time, and the longer you’re on them the more toxic you become. Withdrawal from them is often horrific too. However, most people will experience the physical side effects of nightmares, sweating profusely, stomach problems, irritability, tension, sexual side effects, nervous system side effects etc. The physical side effects in themselves can be extremely debilitating and disturbing. These drugs are quite toxic physically and they have been way too over-prescribed to too many people, mostly without adequate monitoring or informed consent. It seems to me that those who defend the drugs without question are usually biological psychiatrists with a vested interest (either directly through pharmaceutical affiliation or indirectly through other means of the psychiatric profession) in keeping knowledge of the harms of these drugs as suppressed as possible. The problem facing biological psychiatrists who defend the use of SSRI’s -almost evangelically – is- the cat is now fully out of the bag. You can’t defend these drugs in an extreme quasi-religious manner anymore without coming across as some kind of irrational zealot nutcase, because even the most eminent drug experts (the Cochrane group for example) now agree that there are serious issues with these drugs and in fact these drugs are very likely causing more harm than good. It has taken a few decades for the truth to finally become known, but the widespread consensus seems to be leaning towards the fact that these drugs are causing serious harm to a considerable number of people, and they have been for a very long time. There will always be some biological psychiatrists who (seemingly desperate to hang on to some semblance of power and prestige in their own insecure minds) will defend these drugs like they are some kind of sacred religious iconography. They deem any criticism of the drugs as close to some kind of blasphemy. They imagine that if the drugs they dish out are undermined in any way, they themselves will be undermined also, and their beliefs and ideology will be debased as a result. With their ego, their profession and their world view under threat of extinction from the truth, some of these psychiatrists can get very irrational and volatile indeed. Their egos just cannot take this perceived assault so they continue to deny despite the evidence rendering their denials redundant and ridiculous, because denial is all they have left as a defense. Unfortunately, the ship of reason has sailed, and those psychiatrists are not on it. These hell-fire and brimstone biological psychiatrists are few and far between nowadays, as most ‘clever’ psychiatrists are slowly starting to change their own discourse about SSRI’s so as to make it appear that they were never fully behind the widespread use of them in the first place (most of them really were, but at least some of them have the appearance of decency-or ‘devious intelligence’- to accept the truth and follow the tide of consensus). It must be very difficult for some psychiatrists to accept that the drugs which they have been peddling for a very long time have perhaps harmed (and in some cases killed) many of their patients. It understandable what a hard pill of truth this might be to swallow (pardon the pun) for some of these individuals but the truth is self evident now. However continuing to deny the realities of the side effects of these drugs, and the harms that they caused, and continue to cause- is not acceptable. Defending the drugs as a means of protecting the psychiatric ideological paradigm -at the expense of patients’ lives and public health- is utterly reprehensible- in my opinion. There have been a flurry of articles, in the media recently, about the side effects of SSRI’s and much debate has ensued. However, instead of writing my opinion on each, I think it might be best to combine them all in one post. The latest damning article about SSRI’s and their dangers comes from the Telegraph UK. The Telegraph article is based on a study from the Nordic Cochrane group. The Cochrane group are among the most respected (and widely cited) academics in the field of medicine. For years families have claimed that antidepressant medication drove their loved ones to commit suicide, but have been continually dismissed by medical companies and doctors who claimed a link was unproven. The review – the biggest of its kind into the effects of the drugs – was carried out by the Nordic Cochrane Centre and analysed by University College London (UCL) who today endorse the findings in an editorial in the British Medical Journal (BMJ). After comparing clinical trial information to actual patient reports the scientists found pharmaceutical companies had regularly misclassified deaths and suicidal events in people taking anti-depressants to “favour their products”. Four deaths were misreported by one unnamed pharmaceutical company, who claimed they had occurred after the trials had stopped. Both the Cochrane group’s report on the doubling of aggression side effects, and suicidal side effects etc, and Leonie’s excellent commentary upon it, is no surprise to me because I experienced these side effects directly from GSK’s notorious Seroxat SSRI. I know just how dangerous these drugs are. Leonie Fennell also knows just how dangerous these drugs are because Cipramil killed her son Shane, and tragically also Cipramil caused Shane to be violent- and as a result of this side effect of SSRI induced violence came the death of Sebastian Creane too. Anyone on an SSRI could end up in Shane’s altered state of mind, I’ve been there, and I know of many others, who have expressed similar experiences. These drugs can make people violent and volatile, they can literally snap your mind. Shane should have been warned and monitored properly for emerging suicidal ideation/akathisa/aggression etc. He wasn’t warned, and neither was his family, and the tragedy that followed could have been prevented had they been. Although I have been drawing attention to these issues for a long time, it is heartening to see my views legitimized by studies from a group as prestigious and respected as the Nordic Cochrane group. It’s high time the public knew just how dangerous these drugs are for all age groups. The studies highlighting the dangers in adolescents and the young show very clear dangers, however this is the proverbial ‘canary in the coal-mine’. All ages, adults and younger, can experience the same deadly side effects of SSRI’s. I’m not a huge fan of Peter Hitchens (I preferred his brother- Christopher), however he has been good at covering the dangers of SSRI’s and his latest article on the Cochrane study on SSRI’s pulls no punches in that regard. I expect to have more to say about this, but today’s BMJ? UCL/ Nordic Cochrane Centre analysis of research on ‘antidepressants’ should surely change the terms on which we debate this subject. I should say that all intelligent people should draw lessons about the difference between what they think is happening, and what is actually happening, from two major Hollywood films – The Big Short’ and ‘Spotlight’. In both cases – the sub-prime mortgage disaster and the widespread unpunished sexual abuse of children by priests – complacency prevented serious concern for years. In both cases the alarm was raised by outsiders, and most people refused to believe what was being said. I believe that psychiatric medication contains a similar problem, which in a few years, everyone will acknowledge as fact. But at the moment, it is still difficult to raise it without being accused of being a crank. Complacency rules. For some years now I have been more or less begging my readers to obtain the book ‘Cracked’ by James Davies’ and to study two clearly-written and straightforward articles on the subject by Dr Marcia Angell, a distinguished American doctor, and no kind of crank, in the New York Review of Books. I link to them (yet again) here. They are devastating, not least because of their measured understatement. The alleged scientific theory (the Serotonin theory) which underpins the prescribing of such drugs is, to put it mildly, unproven. The drug companies themselves have kept secret (until compelled to disgorge them by FoI requests) research results which suggest their pills are, again to put it mildly, not that effective. Dr Angell’s articles are themselves reviews of important recent books on the subject. I have also drawn attention to the huge sums of money involved, and to a recent case in which a major drug company was fined *three billion dollars* for (amongst other things) mis-selling ‘antidepressants’. Hitchens is astute in his analysis of the Cochrane study. He draws attention to what I have been drawing attention to on my blog for 9 years. The reason why these drugs have been so widely promoted boils down to one thing- money. Another Murder Suicide In Ireland? This is a very tragic case where it seems that an older brother, Shane Skeffington, (20) stabbed his younger brother, Brandon, (9) to death. Apparently this was completely out of character and there were no previous signs that he would commit such a violent act particularly towards his brother. Shane, then went on to kill himself. According to reports he was under psychiatric care and (like most young people) had dabbled in drugs such as cocaine and cannabis, but what I would be more worried about was the so called psychiatric ‘care’ he received. It’s often the psychiatric drug treatments which are the compounding factor in these cases. 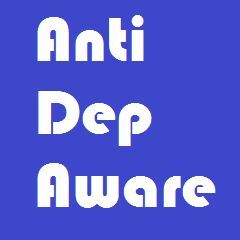 This website’ antidepaware ‘ has correlated thousands of similar cases of psychiatric drug related deaths. Were meds involved? What kind of psychiatric ‘treatment’ did Shane Skeffington receive? and for how long? did he express suicidal or violent thoughts under this ‘care’ and to whom? Was he prescribed SSRI’s? (or an anti-psychotic or other drug) If so, why was he not monitored for emerging aggression, akathisia (an extreme nervous system condition which drives people psychotic), or suicidal/homicidal ideation (all known SSRI side effects which are even included now in warning leaflets). Regardless of whether he received drugs from a psychiatrist or not, it is clear to me that psychiatry has failed this young man and his younger brother. If psychiatry was successful then why do so many of its patients either never get better or get worse and go on to kill themselves or others? Psychiatry is a wealthy institution but they always complain of a lack of funding- but what we need to ask is why are consultant psychiatrists paid astronomical salaries? Surely some of that money could be used to provide funding for intensive psycho-therapeutic interventions such as in emergency cases like this one? Why are these obviously very vulnerable, disturbed and frightened young people just drugged and thrown back out on the street without proper care and proper warnings? why does psychiatry get away with lying to the public about the dangers of medication? Something is wrong here, terribly wrong. I don’t care what anyone says- psychiatric consultant and high level psychiatrists salaries are obscene- particularly when you consider their absolutely dismal track record. Nobody gets cured! And once people enter the psychiatric system they either get worse or they die- what does that tell you? We need complete transparency, which doctors and psychiatrists in Ireland are in the pocket of drug companies? Which ones receive honoria and payment for research etc, and how is this pharmaceutical/psychiatric alliance funded in Universities and hospitals? THE parents of a little boy who was murdered by his older brother before he took his own life desperately tried to save the nine-year-old child. Brandon Skeffington (9) was still alive when his mother and father returned home and found him bleeding heavily on the stairs at their home near Tubbercurry, Co Sligo. And the Herald can today reveal that a 15-year-old sister of the two brothers who died was also in the house when the horrific stabbing occurred. It is believed she did not witness the fatal knife attack on Sunday evening. Shane Skeffington (20) had been receiving psychiatric treatment in a mental hospital just days before the tragedy happened. He was last night described as a “ticking time-bomb” and was implicated in at least two drug-fuelled assaults before he stabbed his innocent brother Brandon to death. The killer used a large kitchen knife from the house to stab Brandon once in the chest before their parents arrived home just before 8pm. Little Brandon was desperately clinging to life when he was discovered by his shocked parents Carmel and Shane senior at the top of the stairs in their home. But the horror got even worse, when Mr Skeffington discovered the body of their eldest son in a shed at the back of their property moments later. They immediately contacted emergency services. Senior sources say that there was no premeditation in relation to the attack and that Shane was “very fond” of his younger brother. “In fact, all the available information is that Shane thought the world of Brandon and there were no significant issues there,” said a source. The recent tragedy unfolding in Sligo (Sunday July 20th 2014) is currently a huge media story in Ireland. Two parents, Shane senior and Carmel Skeffington, came home from a shopping trip to find two of their sons dead. 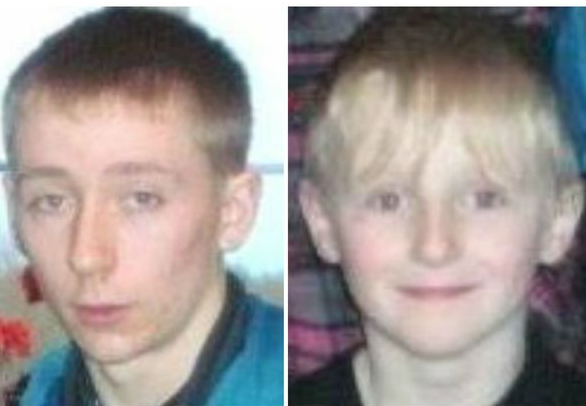 Shane (20) who was babysitting, had stabbed his brother Brandon (9) twice, before hanging himself in the garden shed. Brandon died from his wounds a short time after his parents came home and found him. The community are devastated, no-one saw this coming. Little Brandon idolised his older brother and newspaper reports say they had a great relationship. The media frenzy is palpable, from laying the blame at a couple of minor drug offences, to the ease of access to kitchen knives. I suppose I should be prepared for my own son’s story to be linked whenever a murder/suicide occurs. Today’s Irish Daily Mail referred to my son, also Shane, and the ‘rise in kitchen-knife killings’. My new found friends, whose children have tragically killed themselves, and sometimes others, might have an opinion on whether to lock up the bathroom presses (medication), kitchen cupboards (knives) garden sheds (hoses, ropes and shears) or maybe someone should confiscate grandma’s knitting needles and sewing scissors? Maybe, just maybe, the newspapers need to focus on another similarity? The tragedy unfolding in Sligo has revealed that Shane (the older brother) was recently released from Sligo General Hospital where he was receiving psychiatric ‘care’. We know what psychiatric ‘care’ usually consists of: pills, pills and more pills – mind altering drugs which double the risk of suicide and violence. The investigation should start with what drug this young man was prescribed; was it cipramil, the same as my son? Most likely it was an SSRI antidepressant (Selective Serotonin Re-uptake Inhibitor), the family of drug which can cause suicide, violence, worsening depression, mania etc, etc. Was this young man suffering from akathisia, a severe reaction which occurs with SSRIs, where a person cannot sit still and feels the urgent need to escape from their own body? A full investigation would examine the effects of the ‘care’ this young man received- it certainly didn’t work. Someone needs to answer for these two deaths, blaming it on a 20 year old boy ‘who loved his brother and all his family’ is not good enough! Brian from AntiDepAware has compiled a list of over 2000 suicides and homicides where antidepressant were involved. The evidence is there if you look for it. This tragedy has all the hallmarks of being SSRI-induced. The signs to look out for are (1) out of character (2) recently been to the doctor or psychiatrist and (3) totally out of the blue. Dr David Healy did a comprenhensive report for my son’s inquest. He testified to the dangers of these drugs and that he believed the drug Citalopram (aka Cipramil or Celexa) caused my son to behave so uncharacteristically. The inquest jury rejected a suicide verdict on account of Dr Healy’s testimony. His report is here. The devastation left behind in Sligo is mind-numbing; 2 boys suffering a violent death, parents left in devasted bewilderment, in a world which will never be the same again. I believe with all my heart that the mental health care Shane Skeffington received is to blame for these two deaths! I also believe that these deaths were preventable. Kathleen Lynch, the minister with responsibility for mental health, was informed (by 3 experts) of the dangers of these drugs; she did nothing. Enda Kenny and James Reilly were also made aware; they did nothing! Tonight, on mainstream Irish television, it was once again denied by mainstream Irish psychiatry that SSRI’s can cause some people to become homicidal. More facts and evidence can be found in the cases collected and documented on these websites..
Also, all of the stories from the original site are available under the Archives tab. These are presented in the traditional site format. Once we have finished the posting of new stories and applying the expanded classification we will make all of this available in this traditional format. SSRI Stories focuses on the Selective Serotonin Reuptake Inhibitors (SSRIs), of which Prozac (fluoxetine) was the first. For more see About SSRIs. Adverse reactions are most likely to occur when starting or discontinuing the drug, increasing or lowering the dose or when switching from one SSRI to another. Adverse reactions are often diagnosed as bipolar disorder when the symptoms may be entirely iatrogenic (treatment induced). Withdrawal, especially abrupt withdrawal, from any of these medications can cause severe neuropsychiatric and physical symptoms. It is important to withdraw extremely slowly from these drugs, often over a period of a year or more, under the supervision of a qualified and experienced specialist. Withdrawal is sometimes more severe than the original symptoms or problems. The objective of this site is to promote awareness of the dangers of antidepressants. There is no wish to ban these drugs which give support to a large number of people with depression. However, it is clear that antidepressants are being prescribed to those who are not depressed, to whom they are likely to do more harm than good. In 2009 my son, who had never been depressed in his life, went to see a doctor over insomnia caused by temporary work-related stress. He was prescribed Citalopram, and within less than a week he had taken his life. As a consequence I learned of the suicide risk of antidepressants, particularly in the early weeks of uptake or if the dosage is changed up or down, or withdrawn. Drug companies will say that an adverse reaction which induces suicidal thoughts will affect only about 1% of users. But there are at present over 4 million users of antidepressants in the UK, which means that there are 40 thousand people who may be at risk at one time or another. The centrepiece of this site is a link to inquest reports, found mostly in the online archives of local newspapers, in which antidepressants are a factor in self-inflicted deaths. The reports cover England and Wales over the past 10 years. It must be noted that this list is far from exhaustive but, even so, contains exactly 1650 reports, including 263 (or an average of 5 a week) from 2012 alone. My motivation in embarking on this research has been to offer some understanding to the grieving families who are invariably left a legacy of unanswered questions, along with the memory of horrific loss. Perhaps this site will help answer some of those questions. WARNING: People who have been prescribed antidepressants should never suddenly stop taking their medication. Gradual tapering is advisable. Anyone considering altering the dosage of their medication, or withdrawing from it, needs to take medical advice first.